NB: while the Supplier rating is 3 Star, the Official rating is 2 Star. The Strass Garni is the excellent value extension to the Sport & Spa Hotel Strass - all linked by panoramic glass bridge to the popular main hotel . At the Strass Garni, you're virtually on the doorstep of the Zillertal's most famous link to the mountains - the Penken gondola - plus you're right in the heart of Mayrhofen's busy centre. Within the Strass complex there’s a great choice of bars including the famous après ski Ice Bar, a sports bar and the soundproofed Arena nightclub, The neighbouring Sport wing contains an impressive wellness and spa centre with Finnish, organic and Roman steam saunas, hot tubs, relaxation areas and Thalasso baths - along with 3 indoor swimming pools and a family sauna. Best of all, these facilities are free to use even if you're staying in the Strass Garni. Dining is also taken over the bridge - and the food is excellent. From hearty breakfasts to beautifully presented evening meals that explore the best of Tyrolean flavours and beyond. Plus there's always a daily vegetarian option available. All bedrooms have hairdryer, safe and satellite TV. Standard room - sleeps 2-3: Austrian twin beds and some with extra sofa bed, private shower, WC and balcony. Junior suite (30-35m²) - sleeps 2-4 (max 3 adults): One room with Austrian twin beds, extra sofa bed, private bath, shower, WC and balcony. Please note: All meals are taken in the Sport & Spa Hotel Strass. We update Hotel Strass Garni's details often, but facilities do change. e.g. some extras listed by the supplier as "free" or included might only be for the first time you use them, or for one time per party, then charged for further use. If any specific feature is essential to your holiday, make sure you ask us to confirm the details of it before you book your holiday. This package holiday to Hotel Strass Garni in Mayrhofen, Austria departs Saturday 21st March 2020, for a 7 night stay on a "half board" board basis. A local tourist tax (Taxe de Sejour or Kurtaxe) is levied by many councils in European ski resorts. It varies by standard and type of accommodation and is age dependent, so not everyone is charged. It's not included in the basic price of your holiday and is usually paid locally. For reference, the average charged in winter 15/16 was between 50p and £2 per person, per night. Adult Zillertaler Superskipass: €256.50 (6 days). Ask for a quote when booking Hotel Strass Garni. 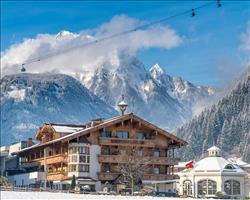 Hotel Strolz Mayrhofen Austria, Gatwick to Innsbruck 21st March. Alpenhotel Kramer... Mayrhofen Austria, Gatwick to Innsbruck 21st March. 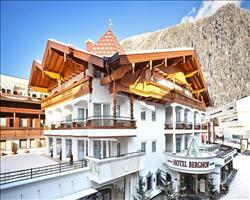 Hotel Berghof Mayrhofen Austria, Gatwick to Innsbruck 21st March. 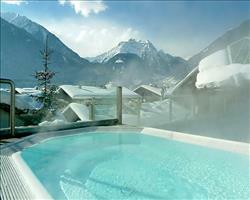 Hotel Strass Mayrhofen Austria, Gatwick to Innsbruck 21st March. 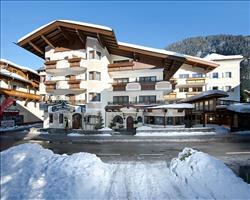 Hotel Rose Mayrhofen Austria, Gatwick to Innsbruck 21st March. Sporthotel Strass Mayrhofen Austria, Gatwick to Innsbruck 21st March. 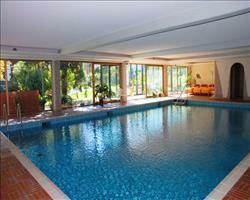 Hotel Neuhaus Mayrhofen Austria, Gatwick to Innsbruck 21st March. 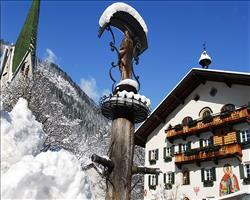 Sporthotel Manni's Mayrhofen Austria, Gatwick to Innsbruck 21st March. 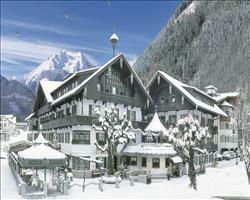 Elisabeth Hotel Mayrhofen Austria, Gatwick to Innsbruck 21st March. Overall, I wasn’t blown away. You get what you pay for in terms of decor and stuff but it’s not particularly swish. 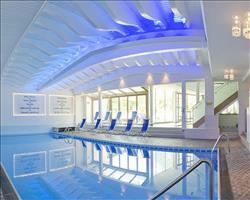 We liked the amenities for families - there’s a games room and spa which were both fine and the convenience was great. The downside was that the food wasn’t too good and we ended up eating out (which was fine because we were in the village but annoying that I had already paid for half board). There was a very limited choice overall and my daughter needs gluten free but they didn’t make much of an effort at all which was disappointing. I would probably stay in the hotel again but I wouldn’t pay for half board.